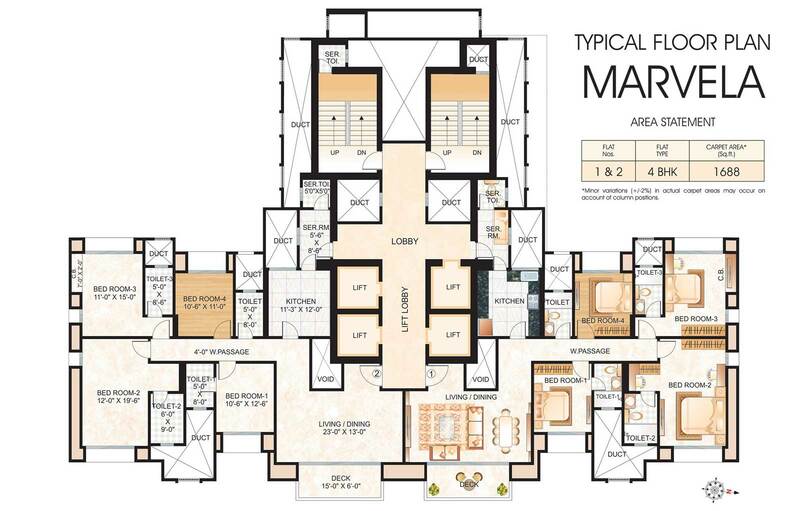 Marvela offers elite 4 BHK apartments of 1688 sq. ft. carpet area. Affordability and lifestyle, Marvela offers a desirable blend of a prime location and state-of-the-art amenities and facilities. The interiors of each of these apartments have been designed with a touch of distinguished class, enabling the residents to live a life of supreme style and comfort. * Marvela has been financed & mortgaged by HDFC Ltd. NOC shall be provided on request.